"Sampath Speaking" - the thoughts of an Insurer from Thiruvallikkeni: '5 second rule' -microbes .. food packing and fallen food !!! '5 second rule' -microbes .. food packing and fallen food !!! Do you carry your lunch daily – home made and neatly packed ?or do you eat outside daily ?? ….. .. it is tastier and delicious eating variety food daily ! ~ there are some quality food outlets like Saravana Bhavan who charge you more – but pack the food, so neatly in a green leaf. I am impressed with the hygiene ice-cubes they use for fruit juices. Food hygiene are the conditions and measures necessary to ensure the safety of food from production to consumption. Food can become contaminated at any point during slaughtering or harvesting, processing, storage, distribution, transportation and preparation. Lack of adequate food hygiene can lead to foodborne diseases. … ever been inside the cooking place of a small hotel .. !! About a week or so, in Ernakulam, six roadside eateries were closed down by the district Food Safety officials following raids carried out. 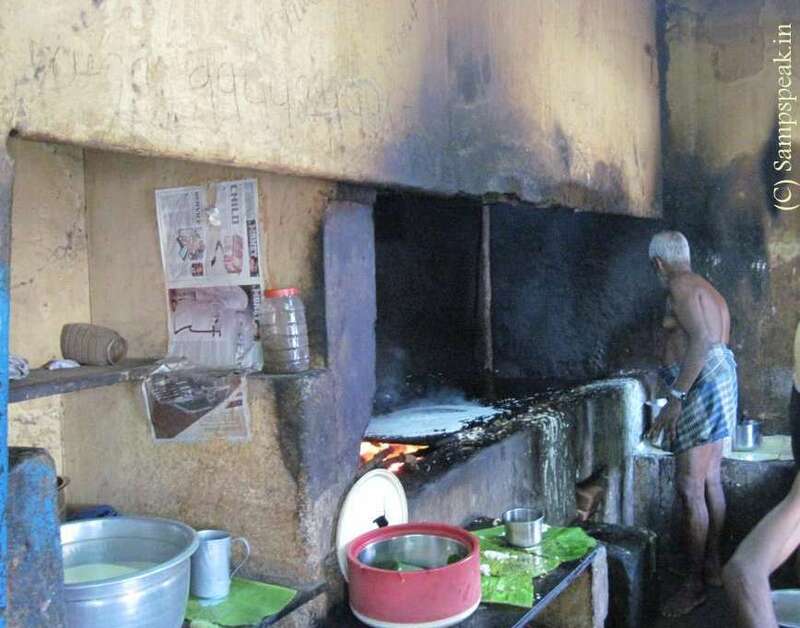 The authorities also issued notices to eight others asking them to improve hygienic conditions.The closure notices were issued to eateries that prepared and sold food in unhygienic conditions. Juice shops and roadside vendors selling cool drinks were also under the scanner. We have heard of such actions in Marina beach too ! Not many realize that it is not only the quality / hygiene of the food – more important is the packing. For consumer goods, ‘Packaging sells’ – perhaps not the same story with Indian masses who eat at roadside eateries around which the environ is pitiable. Gone are those days, when people would eat out only when necessary – with so much of migrant population, rising middle class, urbane attitude, things have changed. There are so many hotels and there are crowds everywhere – irrespective of the size, cost and even quality. Next time, you order food outside (be it eating there itself or takeaway) – first look at the way it is served. Is it on a plastic plate / eversilver plate; how clean it is, is the food kept directly on the plate, on a green leaf; or on a thin plastic sheet or worser still paper. The printed paper comes handy for serving. Many have the habit of wrapping bajji/bonda/vada – squeezing that extra oil on paper and then eat ! ….. dear, the printed newspaper is no safe packing material for food. They are not so good quality paper, handled multiple times differently, have prints with ink that gets dissolved with chemicals. The solvents used in ink are potentially carcinogenic. The newspapers are made of recycled paper which could have been contaminated with harmful pollutants. Away from hotels, be it at home, in Office or anywhere else – how would people react when a piece of edible item, say chocolate falls down – might evaluate what sort of place it is – and by their own standards, feel the terrain to be clean, would pick and pop that up in mouth. After all, it is a clean place, and the piece had been on ground for 5 or 10 seconds. Heard of the ‘5 second rule’ – it is believed that foodmaterial dropped on the ground will not be significantly contaminated with bacteria if it is picked up within five seconds of being dropped. Many believe this to be a myth ! ~ BBC Earth puts it as full of tiny, harmful microbes?The rule must be true, said one - "Surely all bacteria and infectious organisms understand the concept of time”. Would there be a swarm of bacteria lying on the ground, waiting to pounce on any food that comes their way – one feels like asking. One said, he is poor and hence following 5 minute rule ! ~ another quipped "If it doesn't go straight to mouth it goes in the bin." BBC had the Q to scientists who specialise in microbes. Would they eat dropped toast, or pizza, or for that matter, dropped sticky toffee?First of all let's get some facts straight. There is not a swarm of bacteria lying on the ground, waiting to pounce on any food that comes their way.You are literally living and breathing a sea of bacteria. Instead, they are already everywhere, even if you have just mopped the floor. One of them said "Scientifically speaking there is no five-second rule. If the food touches surface for nanosecond it is contaminated. "As soon as any food touches the floor, "of course it will pick up 'dirt'", and therefore microbes inside that dirt, says Jack Gilbert, a microbial ecologist at the University of Chicago in Illinois, US.At any one time, there are about 9,000 different species of microscopic creatures lurking in the dust in our homes, including 7,000 different bacteria, according to a 2015 study. Most of them are harmless. They are all over you all the time; on your hands and face, and in your house. We are constantly shedding bacteria through our skin and through the air we breathe.Researchers have even put a figure on it. Each person emits about 38 million bacterial cells into their environment each hour, a study found. "We are so paranoid about dirt and yet we have no comprehension of the pure luck – or bad luck – that it takes to actually pick up a pathogen," he says. There is no magical barrier between yourself and the bacterial world, so even the strictest cleanliness will not keep them out. It is much safer to throw the fallen food, without thinking that it is being wasted. After all, health is more important.